Following the recent decision of Supreme Court to allow race and sports betting in the USA, major sport franchises and organizations found themselves in need to adapt to a new reality. Some are quicker than others, as it took only about 70 hours after Court ruling for National Collegiate Athletic Association (more commonly known as simply NCAA) to take action. Their public relations department held a press conference, where, among traditional politically correct speak about the need to maintain competition integrity, important gambling news announcement was made. As Gambers Post understood, Association is planning to allow its competitions to take place in states, where gambling is legal. For a long time, it wasn’t the case, and athletes in states such as Nevada were long deprived from participating in NCAA events. While events have been greenlighted to go on, all staff, sportsmen and related management are still banned from participating in wagering, whether its offline or online gamble. There are heavy penalties for doing so, including lifetime ban from NCAA membership. As its President Mark Emmert said, there is still enough time for adopting additional regulations, because state legislatures have mostly closed already, preventing majority of states from legalizing a gamble until the beginning of next year. While NCAA sports events are not nearly as well known abroad as NBA or NHL franchises, Association still counts almost 500,000 athletes in its ranks. With all personnel combined, it is still a very big and influential industry, which can bring more money for interested bettors than any kind of poker or gambling casino ever could. This is one of the reasons why its management is trying to keep its business within sports, not casino news category. However, it is not likely that majority of affected industry personnel are that much interested in illegal or corrupt income from betting on fixed games. In most cases they are well off, properly educated and often take part in anti-corruption activities initiated by their local government workers. Therefore, press interest to this issue might be overblown, and in some cases related to increasing their circulation numbers and/or viewership ratings. 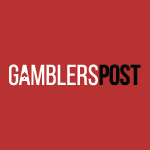 Gambers Post also learned that Association has no plans for lifting ban on gambling advertising and sponsorships in all of its championships.